At DOVE architecture & interiors we offer a range of interior design services to suit our individual client’s needs. Whether it be for a commercial or residential project our services are tailor made to ensure the best possible end results are achieved. Initially We will arrange to meet with you to discuss your project in further detail so we can establish your requirements, your likes and dislikes and understand how the current space does and doesn’t work for you. Pending, our initial consultation we will send you a written quotation detailing the work you would like us to carry out. If you are happy with our quote, we will then arrange to survey the space and commence work on your project. Depending on your requirements, our designers will typically begin by creating several mood boards and floor plans. We will present the schemes to you and discuss what you like and dislike about them. This forms the basis of your design and enables us to ensure we have fully understood your brief in the crucial early stages. If specified, 3D visuals and walk-throughs will be generated at this stage too, providing you with an excellent perception of what your finished project could look like. These are a great tool for helping you to identify which design scheme would work best for you. The Design is finalised at this stage, and any changes required from the sketch scheme will be made and presented to you along with samples of specified materials. If required, we will provide you with a comprehensive shopping list to complete your scheme. Visuals and walkthroughs will also be updated and presented back to you. We allow for minor changes to be made at this stage as all big decisions will have been agreed at sketch scheme. If, specified, a full set of working drawings will be produced for you to provide to the contractors in order to ensure all works are completed correctly and to the agreed design scheme. DOVE architecture and interiors can oversee the implementation of the project from beginning to end. Ensuring a high end finish is achieved. If, you need help finding items for your home DOVE will spend time sourcing the perfect products to suit your home and desires, ensuring a stylish finish. We have trade accounts and often get up to 30% discount, we pass on any discounts to client and charge a 10% + VAT sourcing fee. After investing time and money on transforming your space, dressing a room is the final icing on the cake. Our designers will purchase the finishing touches to your rooms, within an agreed budget, and dress it to perfection. 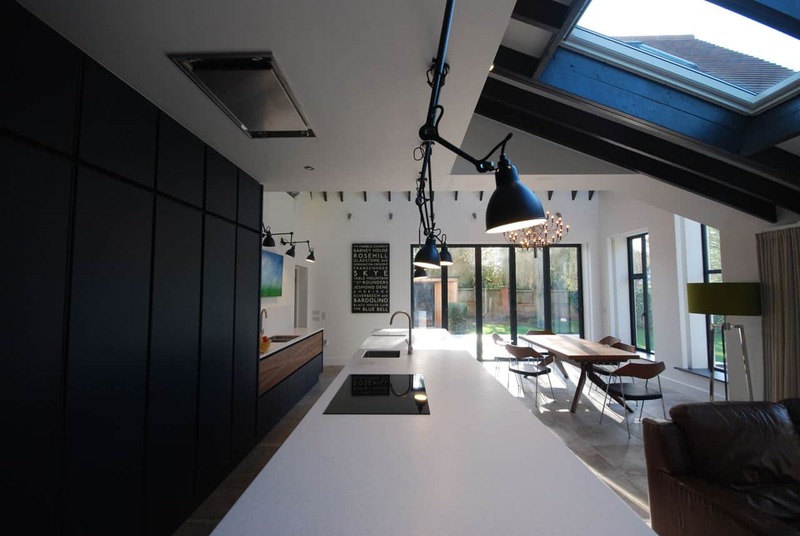 At DOVE architecture & interiors, we pride ourselves in delivering a professional service to a very high standard. The devil is most certainly in the detail!